Ukraine in Ruins:Catastrophe or One More of Washington's 'Success Stories'? It is hardly surprising that Europeans are growing angry with their leaders who blindly follow Washington; it seems that neither Brussels, nor Washington is bothered by the fact that it is the citizens of the EU member states who pay the price for the US’s political adventurism, Ron Paul writes. 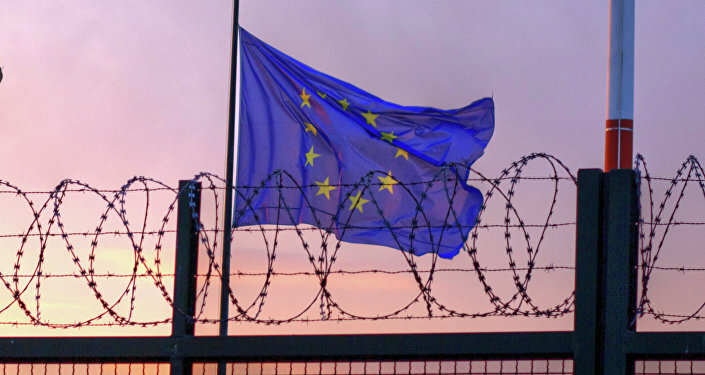 Anger is rising in the EU, and with reason, former US Republican congressman Dr. Ron Paul notes in his article for Ron Paul Liberty Report website. 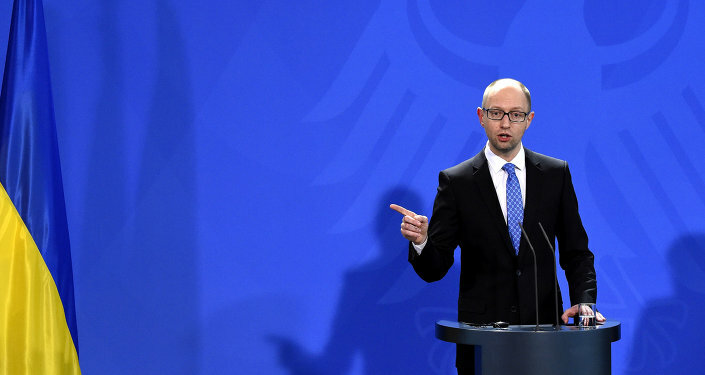 "On Sunday Ukrainian prime minister Yatsenyuk resigned, just four days after the Dutch voted against Ukraine joining the European Union. Taken together, these two events are clear signals that the US-backed coup in Ukraine has not given that country freedom and democracy. They also suggest a deeper dissatisfaction among Europeans over Washington's addiction to interventionism," Dr. Paul emphasizes. The former Republican congressman calls attention to the fact that it was the Obama administration that fomented the coup in Ukraine back in February 2014. Although the story of Washington's involvement in toppling the Ukrainian democratically elected government remains a taboo issue, it is well documented that Assistant Secretary of State Victoria Nuland and other US officials were part of the regime change cabal. But what is the result of the US intervention in Ukrainian domestic affairs? According to Transparency International, the new Ukrainian government is no less corrupted than the previous one. In addition, however, the country is now teetering on the balance of economic and social catastrophe. "Is a Ukraine in chaos to be considered a Washington success story?" Dr. Paul asks. In a similar vein Washington has stirred a hornet's nest in the Middle East and North Africa. The US-led interventions in the regions have resulted in hundreds of thousands of refugees seeking shelter in Europe. "The people [Europeans] are told they must be taxed even more to pay for the victims of Washington's foreign policy," Paul underscores. In light of this, the Dutch vote has demonstrated "the deep level of frustration and anger in Europe over EU leadership following Washington's interventionist foreign policy at the expense of European security and prosperity." The US politician adds that the other EU member countries did not even dare hold popular referenda on the EU association deal with Ukraine — "their parliaments rubber-stamped the agreement." Will Brussels lend its sympathetic ear to the Dutch voters' stance? According to Wolfgang Münchau, a co-founder and director of Eurointelligence think tank, the Dutch government should notify the European Council that the association agreement "should lapse." "Personally, I am strongly in favor of the agreement as it binds Ukraine closer to the EU and keeps Russia at bay. But to ratify it despite a democratic vote against in one of the EU's founding member states is asking for trouble," Münchau wrote in his Op-Ed for Financial Times on April 10. However, on the same very day, Reuters reported that "the European Commission will propose this month granting visa-free travel to Ukrainians despite a Dutch referendum vote," citing a senior EU source. To enter into force the proposal must be approved by a qualified majority of EU members and by European Parliament. "It may look as if we're ignoring the Dutch voters, but we have to keep our word to Ukraine, which has met the conditions," the EU source said, as quoted by the media outlet. The people of the Netherlands have expressed their will, but who cares? Brussels and Washington continue to push ahead with their plans despite growing dissatisfaction in Europe. "Brussels bureaucrats have strongly indicated they will simply ride roughshod over the voice of an entire nation in their grasping bid to secure further power in Eastern Europe," Nick Gutteridge of the Daily Express, a British daily national newspaper, wrote on April, 11. "The despotic move will further fuel claims that the EU has no respect for democracy, and comes just weeks before Britons decide on whether or not to quit the 28-nation bloc," Gutteridge underscored. Ron Paul points to the fact that Brussels' policies make Europeans sick at heart. "Europeans are tired of their unelected leaders in Brussels pushing them around and destroying their financial and personal security by following Washington's foolish interventionism," Dr. Paul stresses, adding that it is clear to the Europeans that none of the American interventions were a success. "One way or the other, the US empire is coming to an end. Either the money will go or the allies will go, but it cannot be sustained," the former US congressman emphasizes.